Here's where the sun-kissed treats shines. 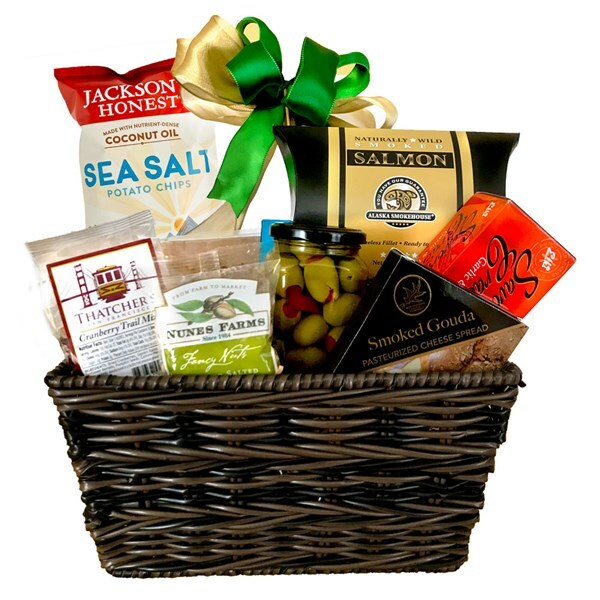 This gift basket includes the "best of the best" with a healthy twist and specialty foods . Great for corporate gift giving, friends or family, whether they're in California or far away. The Sunshine with a Heathy Twist Gift Basket is a bounty of delicious treats with a healthier twist. Jackson's Honest Potato Chips (cooked with coconut oil). One of a kind!